Mill+ recently collaborated with iconic British fashion brand Burberry, to create the bespoke motion graphic projections featured during their live launch show in Shanghai last week. 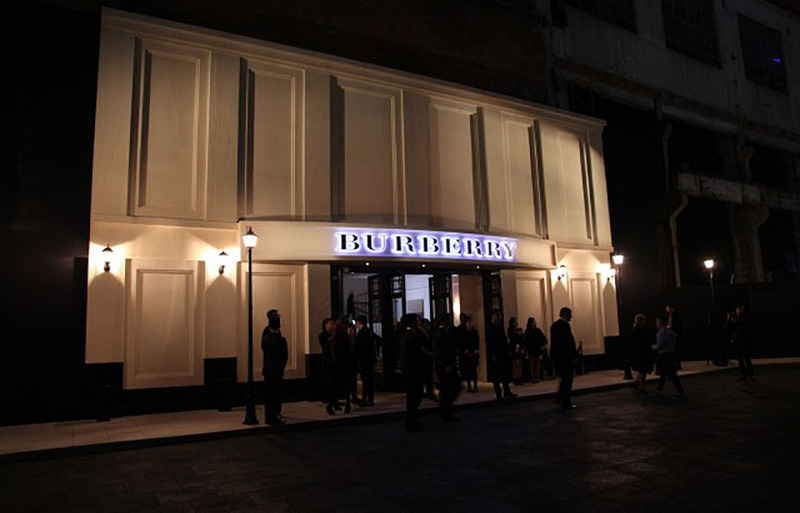 The event held to celebrate the opening of the new Burberry Shanghai store, which is modeled on the Regent Street branch, also showcased the latest Autumn / Winter womenswear collection. Featuring live music performances from George Ezra, Ed Harcourt and Paloma Faith, the show stopping finale in front of Mill+’s matte painted backdrop of the London skyline involved Cara Delevingne flying over the packed audience consisting of 1500 of Shanghai's fashion industry VIP's. 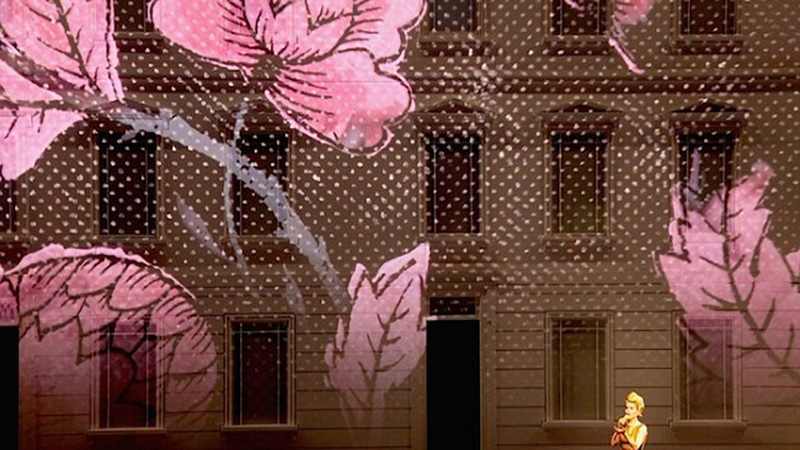 The heady cocktail of cinema, live music, dance and fashion was further complemented by the intricate visual content created by the Mill+ team, projected onto the walls of a London street scene. Mill producer Colin Oaten and director Russell Tickner were lucky enough to be on the ground in Shanghai to ensure all the motion graphics projections ran smoothly, and see the teams hard work in situ. 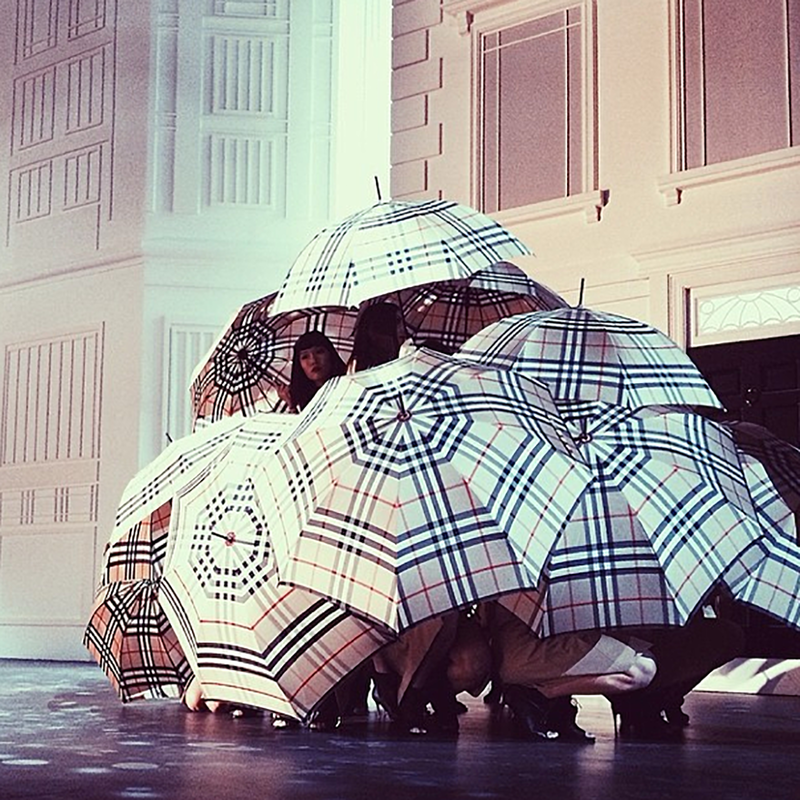 How was it working with such an iconic British fashion institution as Burberry? Exciting and challenging in equal measure. 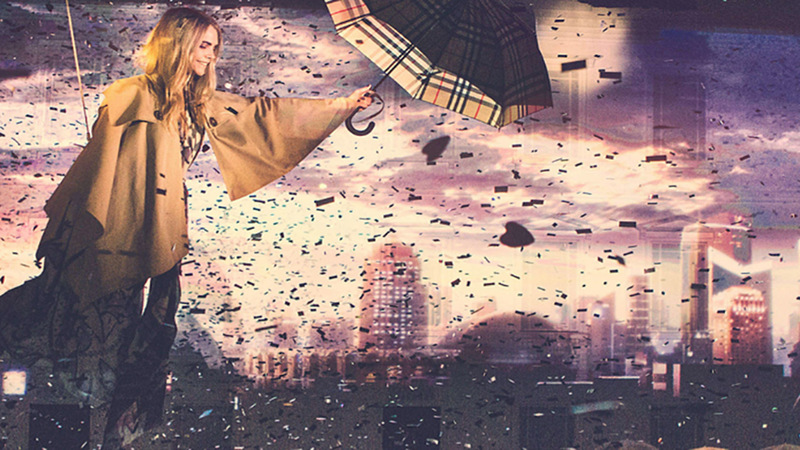 Burberry are both iconic in their creativity, industry leading in their fashion designs, but also forward thinking in their approach to marketing and driving the brand. This project gave us the opportunity to really showcase and push all these areas, bringing Mill+’s expertise and renowned visual artists together alongside the established fashion house, creating a really powerful collaboration and piece of work in the process! We needed to create a 12 minute sequence of animated films in order to be projected during the Womenswear finale. 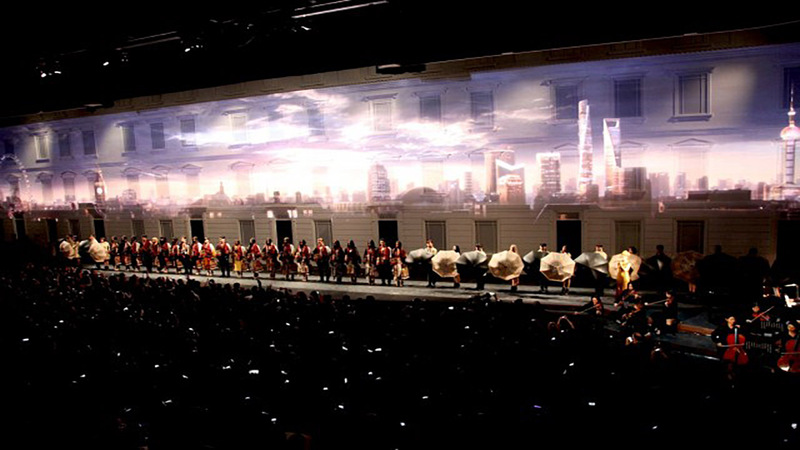 Designed to work harmoniously as the models walk across stage, the animations spilled onto the huge 40 x 8 metre London street façade. Whilst many creative routes where explored, ultimately we took the lead from the catwalk; a simple interpretation of a beautiful and inspiring collection. The hand painted floral patterns combined with a naivety of mark making were created to encapsulate the charm and artistic nature of their Womenswear A/W 2014. What were the technical challenges you faced with an experiential project like this? The main challenge was the resolution - because the films we created would be projected on such a large backdrop, our work had to be created almost three times as large (and wide) as it usually is. This meant visual progress was hard to gauge at times, due to rendering times and working with this amount of data across three different departments. We collaborated with Andreas of Nanika to create a bespoke piece of software that would run particle simulations in real time, allowing us to sidestep the render heavy workflow and look at immediate visual results. We used this software to export image sequences with custom graphics that we then used in our final film. How was Mill+ set up to work on such a project? Russell Tickner directed the films, working closely with Burberry to make sure their creative, brand vision was implemented throughout. 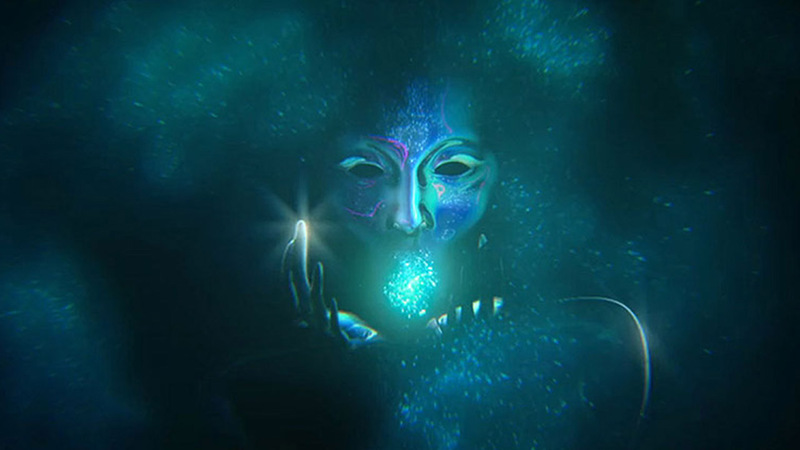 We also mobilised the talent of design, 2D and 3D animation, matte painting and offline editing across three floors to produce the final projection sequence. 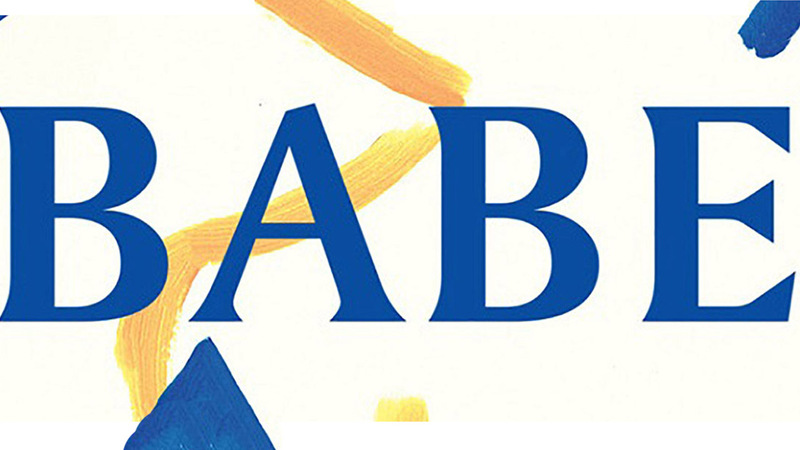 It was an incredibly complex project from a production, technical and creative point of view. This set up ensured we had a large collaborative team to bring the project to fruition, but we are all extremely proud of the results and our continued partnership with Burberry.